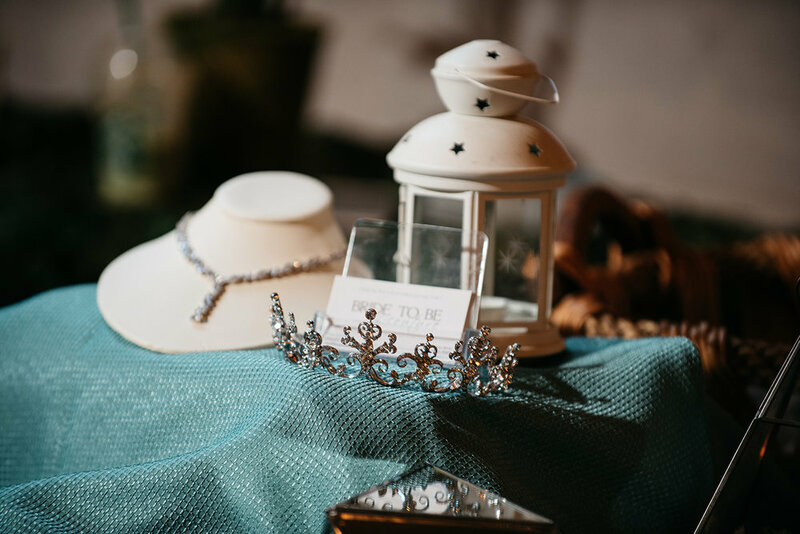 We are always so honored to be asked to participate in smaller Bridal Shows. So when Angelica at one of our favorite venues The Willow Ballroom asked us to participate in the Love Grows Here event on July 8th, 2018, we couldn't say no! It was the perfect chance to showcase some of our favorite gowns from the brand new Fall 2018, and Spring 2019 Collections, on a beautiful range of real women, not professional models. Angelica Whaley of The Willow Ballroom. Model Frances Wang wearing Lazaro. Model Mazkenzie Kaplan wearing Stella York. Model Elizabeth Tanin wearing Calla Blanche. Model Brittany Kissinger wearing Essense of Australia. Model Marissa Burg wearing WToo. Model Lisa Caselli wearing Olvi's. Model Vanessa Wagner wearing Pronovias. Model Curissa De'Leon wearing Allure. Model Vanessa Wagner wearing White One. Model Curissa De'Leon wearing Enzoani. Model Jessica Cannon wearing Tara Keely. Model Cambi Brown wearing Lazaro. Model Meghan Vanderford wearing Lazaro. Model Brittany Kissinger wearing Mori Lee. Drapery by Three Palms Events. Floral by Rodarte Floral Design. Our lovely models and the Bride To Be Couture team. The Willow Ballroom provided the perfect setting for the event. 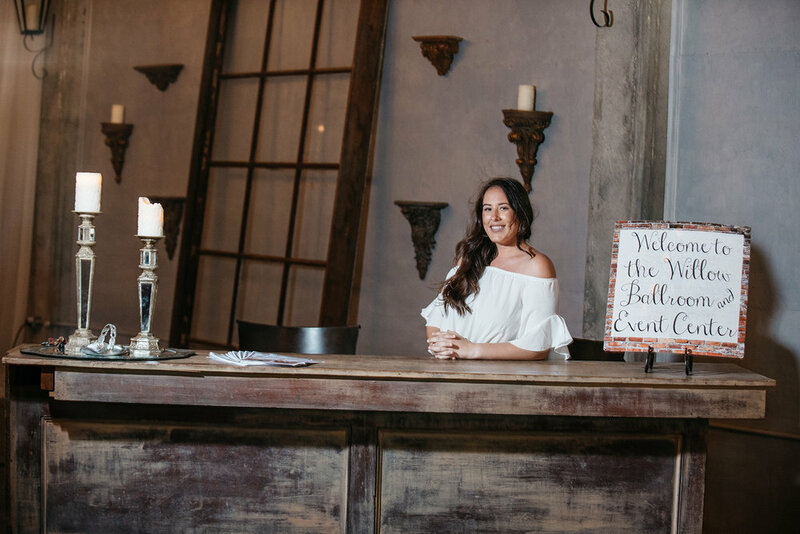 With gorgeous brick walls, polished concrete floors, vaulted ceilings and elegant chandeliers, it's easy to see how the space can be transformed for any perfect wedding day. 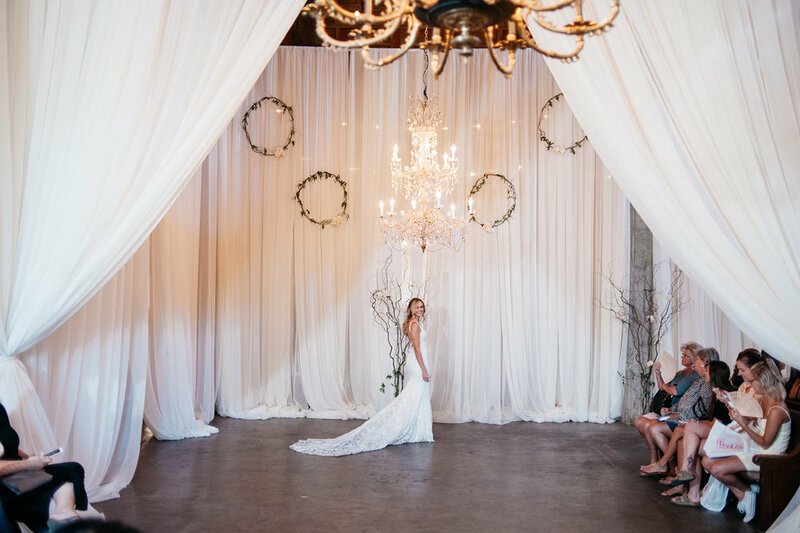 Three Palms Events provided the gorgeous drapery that divided the room, and elegant floral wreaths by Rodarte Floral Design were the perfect touch needed to make our runway come to life. Our models walked (and danced!) down the runway to music by Mr. DJ Event Services. All gorgeous photos are provided by Carmen Salazar Photography unless otherwise noted.